Mit Hit Life 2 liefern Big Fish Audio-Nachschub für alle, die Volume 1 bis zum Maximum ausgereizt haben. 50 frische Construction Kits inklusive 173 MIDI-Files im authentischen Urban HipHop Style bereichern deine Tracks um das gewisse Etwas. Ob nun Songprojekte, Film & Fernsehen oder auch für Videospiele, Hit Life 2 wird dich nicht enttäuschen! Big Fish Audio is proud to present Hit Life 2: Modern Hip Hop. The sound of modern Hip Hop is an elusive beast, but Hit Life 2 has the punch and intensity to capture it in every kit. From deep 808 basses and punchy drum loops to hand-crafted synth leads and vocal chops, Hit Life 2 has every tool to bring the sound of Modern Hip Hop to life. 50 full construction kits with every element broken out, including drum stems, drum one-shots and midi files place months worth of recording sessions at your finger tips to start new tracks or help augment ongoing projects. This library is the absolute pinnacle of radio-ready production quality and with perfect loop points, 24-bit quality and a simple layout, the next top chart hit is just a drag and drop away. Hit Life 2 is a must have for the serious producer and will not disappoint. Hit Life 2: Modern Hip Hop has been formatted in the most widely-used formats: Apple Loops, Acidized WAV, and REX files, making it usable in virtually every piece of software and hardware on the market today. 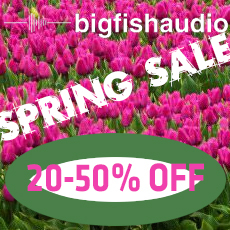 In addition, this library comes fully formatted for Kontakt as part of the Big Fish Audio KLI 3.0 Series which transforms this loop library into a truly moldable and musical writing instrument.